Virgin Raspberry Seed Oil is cold-pressed and extracted from the seeds of raspberry fruit without solvents or chemical processing. Extraordinarily high in Omega-3 and Omega 6 fatty acids, Red Rasperry Seed oil is a superb anti-oxidant. It contains 83% essential fatty acids. Much research is available online showing the healthcare benefits of internal use of Red Raspberry Seed oil. Its high level of Vitamin E is known to be give it an important role in skin repair and conditioning. Although this Red Raspberry Seed Oil is certainly produced for internal use, we are not licensed to produce or sell food supplements, so we recommend it for skincare and cosmetic applications. Virgin Red Raspberry Oil is known especially for its prevention of gingivitis, rashes, eczema and other skin lesions. It is useful in skin creams, bath oils, and tooth paste. Raspberry seed oil is emollient, lubricating, conditioning, creates a lipid barrier providing protection to the skin and provides moisture retention for the skin. Its anti-inflammatory properties are greater than those of better known oils such as virgin Avocado Oil, Grapeseed Oil, Hazelnut Oil and Wheatgerm Oil. Virgin Red Raspberry Seed Oil may act as a broad-spectrum UV-A and UV-B shield. It has shown an SPF of between 28 and 50 and thus is a valuable ingredient in natural sunblocks and sunscreens. It has a long shelf life because of its high phospholipid content, and may increase the stability of other carrier oils when blended with them. Virgin Raspberry Seed Oil contains exceptionally high levels of alpha and gamma tocopherols (vit. E), vit. A and omega-3 and omega-6 fatty acids. This provides the skin with significant broad spectrum protecion from damaging UV-A and UV-B rays. Virgin Raspberry Seed Oil is high in essential fatty acids and commonly used in the cosmetic and nutritional supplement industries. Omega 6 fatty acids are typically present at a level of 50%-60%. It is naturally high in Tocopherols providing antioxidant activity. 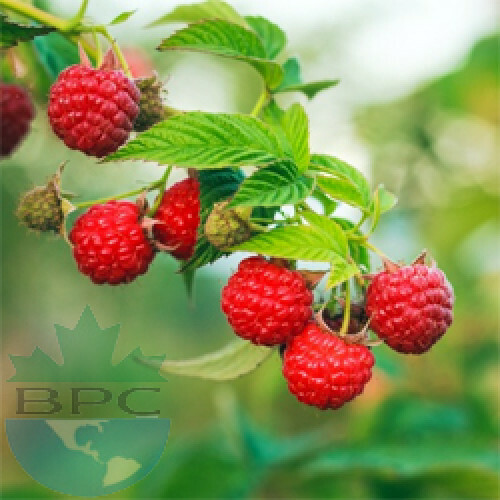 Topical application of Virgin Raspberry Seed Oil may help maintain skin softness and hydration.